The amount of money spent in elections for Wyoming’s senators is growing, keeping the state in line with a national trend of increasing campaign spending. In the lead up to the 2014 primaries, Sen. Mike Enzi (R) set career fundraising records, while Sen. John Barrasso (R) already has $3 million in cash on hand for his next race in 2018. 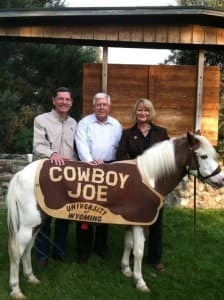 Sen. Barrasso, Sen. Enzi, and Rep. Lummis with University of Wyoming mascot Cowboy Joe. During his first term, Enzi raised $1.4 million leading up to the 2002 election. In his second term, from 2002-2008, he raised $3.3 million. The amount raised by Enzi from 2009-2014 stands at $4.1 million, a number boosted by the competitive race he faced until Liz Cheney withdrew her candidacy in January. In the last six months of 2013, Enzi raised more than $2 million. That’s more than he raised in his first six years as a U.S. Senator. Some of Enzi’s largest donors since 2009 have come from the health and pharmaceutical industry. Blue Cross/Blue Shield is his top donor, giving some $48,000 to political action committees that support Enzi. Pharmaceutical companies Amgen and Abbot Laboratories have each given $35,000 to Enzi’s Making Business Excel PAC. Some of Enzi’s notable donations come through the lobbying firm Tarplin, Downs & Young, which has funneled $29,100 to Enzi’s campaign committee and his PAC. 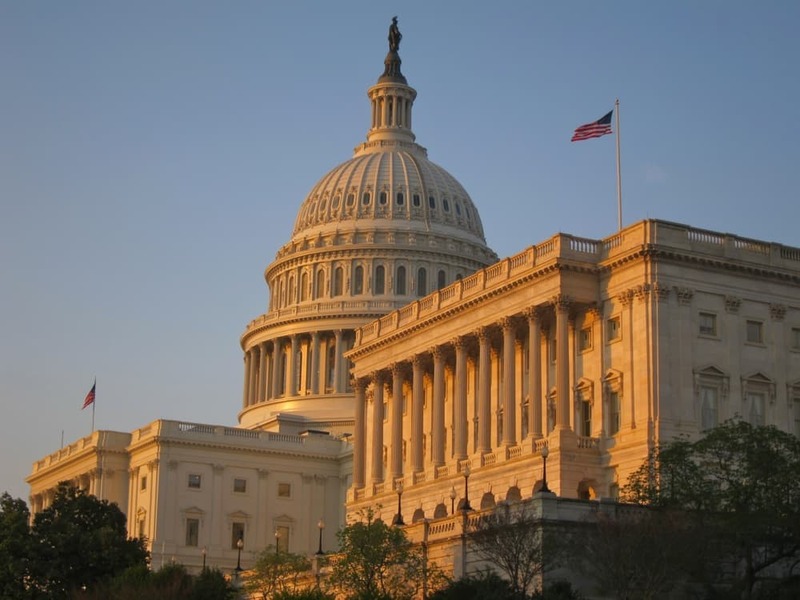 Some of the firm’s contributions came from its co-founder Raissa Downs, Enzi’s former healthcare policy advisor who then went on to work for the Health and Human Services agency as principal assistant secretary of legislation. In 2006, she co-founded the lobbying firm Tarplin, Downs & Young. According to OpenSecrets.org, the firm gets much of its business from the pharmaceutical/health products industry. Sen. John Barrasso (R-WY) has an established track record of raising money. Though Barrasso has less seniority than Enzi, his fundraising has outpaced his more experienced colleague. In his first term, Barrasso raised $8 million, and spent $5.3 million of that amount before winning the 2012 election. Barrasso is still four years away from his next race in 2018, but his campaign committee and PAC already have $3 million cash on hand. Through 2012, Barrasso’s leading donor was Richie’s Specialty Pharmacy, a Texas pharmaceutical company. 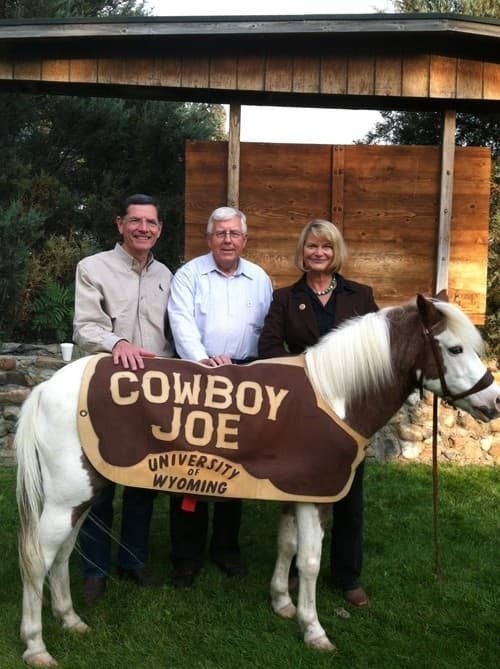 WyoFile profiled Barrasso’s connection to that company in this 2013 report. Barrasso’s current top donor is Blue Cross/Blue Shield, which has contributed $59,000 through its company and its employees. See this 2012 WyoFile report for more on Barrasso’s donors. Some of Barrasso’s support comes from outside his campaign committee and his political action committee. In 2011, the American Chemistry Council spent an undisclosed amount of money for a television advertisement titled “Support for Senator Barrasso.” The trade organization also gave $7,938 to Barrasso in the 2012 election cycle. However, American Chemistry Council could have spent far more than that to air the TV spot supporting Barrasso, without public disclosure. According to election law, almost all money spent by trade associations on such ads is exempt from Federal Election Commission disclosure requirements. That’s because the trade associations aren’t considered to be political organizations. Further, the ad didn’t specifically call for viewers to vote for Barrasso, and it didn’t air 30 days before a primary or 60 days before a general election. Wyoming’s senators have raised increasingly large amounts of money due to the influence they wield among the hundred members of the United States Senate. By contrast, Wyoming’s lone member of the House, Rep. Cynthia Lummis (R-WY) has posted lower fundraising numbers in the current term. Up to this point in the 2013-2014 election cycle, Lummis raised a little more than $216,000. That’s substantially less than the $700,000-plus she raised in both 2009-2010 and 2011-2012. 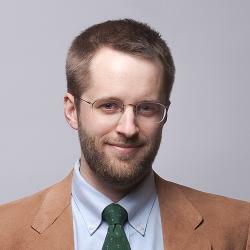 Matt Mead (R) raised $1.8 million when he won the race for Wyoming governor in 2010. Of that amount, $1.22 million came out of his own pocket as candidate “self-finance.” The amount of money raised in the race for governor has increased since 2006, when Democrat Dave Freudenthal raised $1 million to win his second term. His competitor Ray Hunkins (R) raised $584,000. I smell big freaking Rats, raising money from health and pharmaceutical industry to advance their agenda, and we have no say anymore,, voting is our only voice, it is time we use it! !